Abstract: The design of a higher-layer controller using model predictive control (MPC) is considered. The higher-layer controller uses MPC to determine set-points for controllers in a lower control layer. In this paper the use of an object-oriented model of the system for making predictions is proposed. When employing such an object-oriented prediction model the MPC problem is a nonlinear, non-smooth optimization problem, with an objective function that is expensive to evaluate. Multi-start pattern search is proposed as approach to solving this problem, since it deals effectively with the local minima and the non-smoothness of the problem, and does not require expensive estimation of derivatives. Experiments in an emergency voltage control problem on a 9-bus dynamic power network show the superior performance of the proposed multi-start pattern search approach when compared to a gradient-based approach. Reference: R.R. Negenborn, S. Leirens, B. De Schutter, J. Hellendoorn. 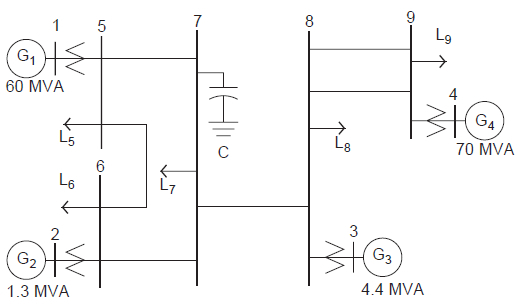 Supervisory nonlinear MPC for emergency voltage control using pattern search. Control Engineering Practice, vol. 17, no. 7, pp. 841-848, July 2009.